Buglass Energy Advisory supports energy investors in established and emerging technologies with strategic, commercial and financing advice. Independent developers seeking to grow existing businesses, or bring innovative technologies or services to market need to make a compelling case to investors, in the appropriate language. BEA acts as a sounding board during preparation and bridges the gap between Technical and Finance, for an effective investment conversation. We leverage investing experience gained in the delivery of over £11 billion in investments across 30 countries in the service of our clients. Our commercial and finance expertise is augmented by detailed policy and regulatory knowledge, and BEA is uniquely positioned to combine them into tailored solutions for the specific needs of the client and of the opportunity. For assignments requiring additional skills, we draw on a network of trusted partners providing complementary knowledge to deliver the right team for our clients. Recent years have brought huge disruption to energy sector business models. Technology and regulatory changes require fundamental changes in conventional investment and commercial strategy. Business leaders must re-align their businesses to constantly shifting market conditions, adjusting their strategy dynamically, all the while communicating clearly and effectively with their investors and stakeholders. Andrew Buglass has been funding and developing global energy projects exclusively since 1992, under senior roles with leading companies such as Royal Bank of Scotland, PowerGen plc and Unocal Corporation. His experience spans electricity projects in over 30 countries, across all proven and many emerging power generation technologies, in all key stages of the development cycle. He also has extensive, highly complementary experience in oil & gas investment and development. Andrew is a regular expert contributor to government and industry groups on policy and investment issues. This has included appearances before Parliamentary select committees, regular conference presentations, and private consultations with senior stakeholders, such as government ministers and senior civil servants, as well as key influencers and opinion formers across the private sector and relevant NGOs. 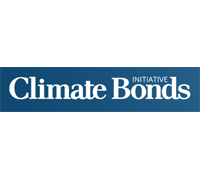 Much of this work has been carried out in his role as Co-Chair of the Low Carbon Finance Group, which brings together senior energy investors across debt and equity and has been a respected voice in dialogue with policy makers since its formation in 2009. He is passionate about the long-term impacts of power generation and is an active advocate for renewable technologies and transformative energy technologies. Before founding Buglass Energy Advisory, Andrew was Managing Director and Head of Energy at Royal Bank of Scotland, responsible for the origination and execution of structured financings for clients across the Energy sector (power and oil & gas). From 2009, Andrew led the transformation and refocusing of RBS’s power lending business onto UK opportunities, and within two years, re-established the team as the largest lender to UK renewable projects (2011-13). Under his leadership, RBS arranged over £1.8bn of funding for projects across on-shore and off-shore wind, solar, gas-fired and biomass generation. Andrew led the first bank financing for peaking power projects under National Grid’s STOR contracts, and oversaw other first of kind transactions including the first large scale solar PV in the UK (a £250m project financing), and the first debt financing for UK yieldcos. Previously, Andrew ran ING’s Amsterdam-based Utilities / Power team of 11 professionals, covering power projects in Europe and the Middle East. With ING, Andrew led transactions valued in excess of €4.5bn for new build developments, acquisitions and refurbishment projects across Europe, CIS and the Middle East. From 1998 to 2003, he was responsible for Unocal Corporation’s Asian project financings, based in the company’s Singapore office. Andrew secured funding for the first deep-water oil & gas project in Asia, the $980m West Seno field in Indonesia. He also led financings to refurbish the 24mmtpa Bontang LNG liquefaction plant (the world’s largest at the time) and structured funding for 2GW of power generation operations, particularly geothermal projects in the Philippines & Indonesia. Andrew was previously Assistant Group Treasurer and Joint Head of Project Finance with PowerGen plc, where he had particular responsibility for the company’s Asian projects. He led PowerGen's deal team for the $1.7bn financing of PT Jawa Power in Indonesia, voted Project Finance Deal of the Year, and advised and structured bids for projects totalling 5.9GW of new build capacity. He led due diligence on acquisition transactions exceeding 5.5GW. Where an assignment demands additional skills, we work with a network of trusted partners who provide complementary knowledge and relevant skills to deliver our clients’ specific requirements.